Home Music Drama and Movie OSTs Track-by-Track Review of OST Wrong No. Track-by-Track Review of OST Wrong No. 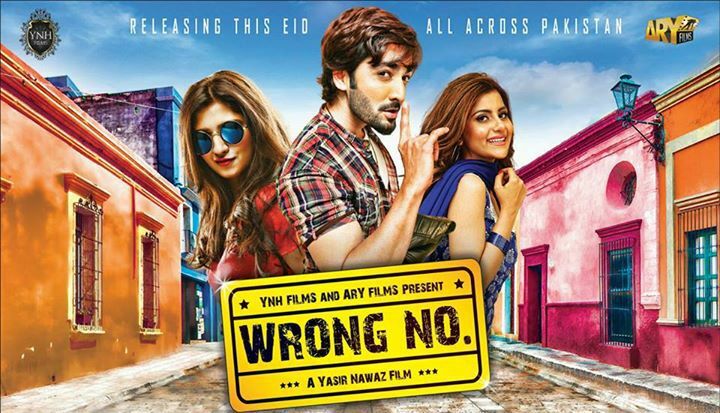 Yasir Nawaz’s production – Wrong No is coming out this Eid ul Fitr. 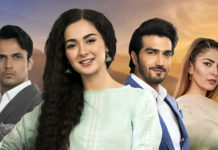 Featuring liked-by-everyone Danish Taimoor (Jalaibee), Sohai Ali Abro, Janita Asma and Shafqat Cheema, Javed Sheikh and Danish Nawaz, it’s a directorial debut of Yasir Nawaz. Two songs from movie’s soundtrack were released on June 15 but failed to get much good reviews. Here’s PMR’s take on OST Wrong No. First in the short line is ‘Selfiyaan’ – item number. Sohai Ali turned her sweet, swoon-worthy cuteness into something hot. 2014 saw the craze of ‘selfies’ taking the world by storm. Its mid of 2015 and that fever hasn’t cooled down yet. Maybe never will. Like typical item numbers, this one features skin (duh), pointless lyrics and loud, smoker voice, don’t you ever think why every singer of item songs has this loud and scratchy voice? Maybe they have taken it too far; selfies can’t make a song. Nope. Starts of quite slow and sweet with ‘Hmms’ by Nabeel Qureshi’s flirty vocals. Too Bollywood inspired but still a better song than some overrated Bollywood songs. Sara Raza Khan is collaborating in this number. You get tired of it too soon and starts picturing heroine in filmy Sari and lovesick hero on a hilltop dancing. A little too Bollywood-y for my liking. Video is maybe a little vul- I mean, inappropriate and probably doesn’t mark Wrong No as a family thing. This sweet track gives you old vibes upon starting. Singers are sugary Sara Raza Khan and Nabeel Qureshi. Song is good, slow with a rhythm too familiar. One listen and I could instantly think of Bollywood songs similar to this. It’s a song I’ll listen again. Sara’s flawless vocals and breathy ones of Nabeel. Maybe a little too old-Bollywood-esque. But good nevertheless. Ever since the last season of Coke Studio aired, admit you’ve fallen in love with Asrar’s voice. Bhaag Ja is a loud, rock-type, speedy track which is absolutely amazing and a must listen. Maybe a little long but perfect for this movie. Chorus is a winner. No doubt the best one in the entire album. Freelance writer from Pakistan. Social Media Marketer at MissOandFriends.com & Ghostwriter. Have written for Ink Magazine, Teen Times, Smash! Magazine, Pak Media Blog, Buzzfeed Community, Good Food Magazine. Pak Media Revolution, G Concepts etc.